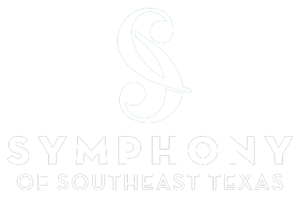 The Symphony of Southeast Texas is saddened by the devastating tragedy of violinist Yu Zhao Gu’s death at Saturday evening’s concert, April 6th. Mr. Gu was a treasured member of the violin section of SOST for decades. Our deepest sympathy goes to his wife, Ying, also a member of the violin section, and his family. A memorial service has been planned for Tuesday, April 30, at 10:00am at Calder Baptist Church in Beaumont. The Orchestra will offer a memorial concert next season on Sunday, January 26, 2020 at 5:00pm as a tribute to Mr. Gu. This concert will be free to the public to recognize the wonderful expression of sympathy from our audience and community. The programming of the concert will be announced at a later date. We were unable to replicate the concert from April 6 due to the various schedules of the musicians, choirs and guest artists before the end of the 66th season. However, the orchestra will perform Faure’s Requiem, the choral piece, next season on the Classic Series III concert, February 15, 2020. Ravel’s, Daphnis and Chloe, will be performed on the following season (2020-2021) on the first concert in September. Maestro Chelsea Tipton, II expresses his gratitude to the community for the outpouring of support for the Symphony of Southeast Texas. We would like to thank all of the medical and emergency professionals who rushed to Mr. Gu’s side in an attempt to save his life.